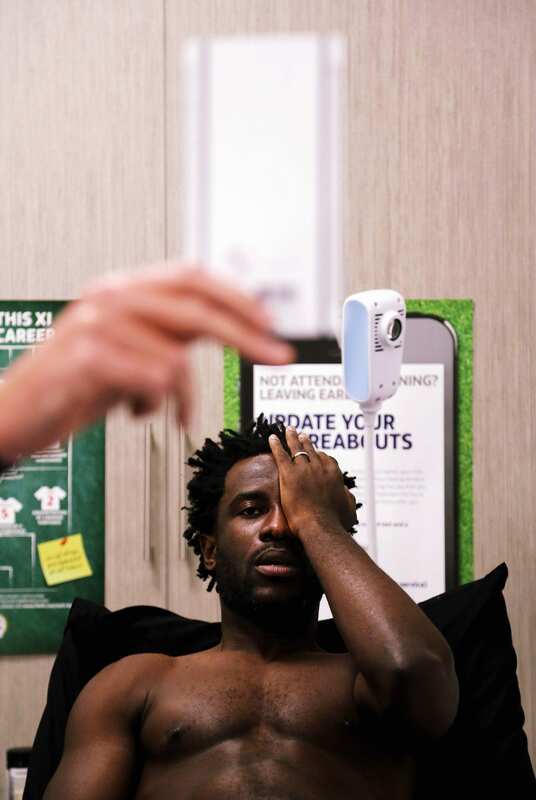 When Wilfried Bony arrived at the Fairwood Training Ground he was beaming, all smiles, and gave all people present the friendliest handshake. You could tell he was returning back to where it all started for him, after all, his Premier League debut was with Swansea City in 2013. Football medicals are not easy or quick but thorough and detailed. Club doctor Jez McCluskey always allows for a few pictures to be taken while he examines all the footballers arriving. After which head physiotherapist Kate Rees examined that every single moving part on Wilfried’s body was operational. What made this medical special though, was when first team head coach Paul Clement came in the physiotherapy room, embraced Wilfried and had a brief chat. You could tell the two had a lot to talk about and it was obvious that both were very happy to see each other. 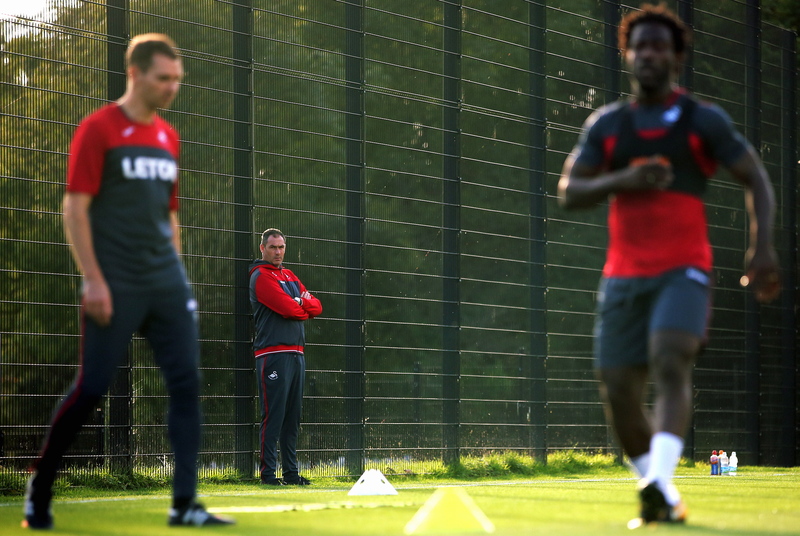 Ritson Lloyd of the coaching staff then made sure that Wilfried was fit enough on the pitch, it all happened under the watchful eye of Paul Clement. 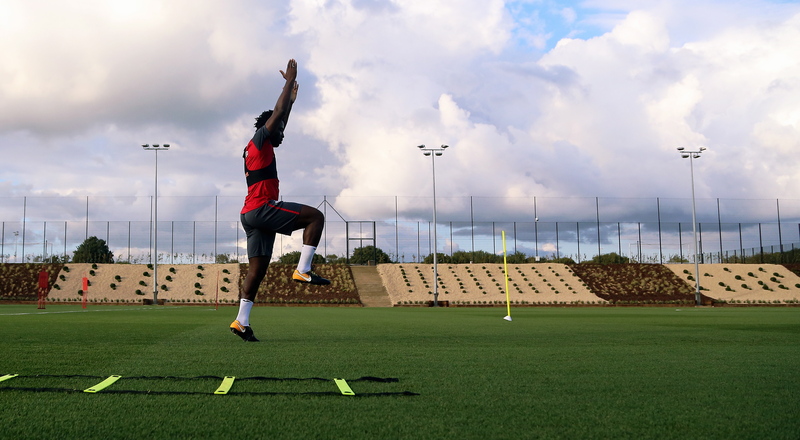 Wilfried was more than happy to co-operate with the numerous requests by the club videographers and media team, by which time they all had a smile on their faces, Wilfried’s happiness became so contagious. 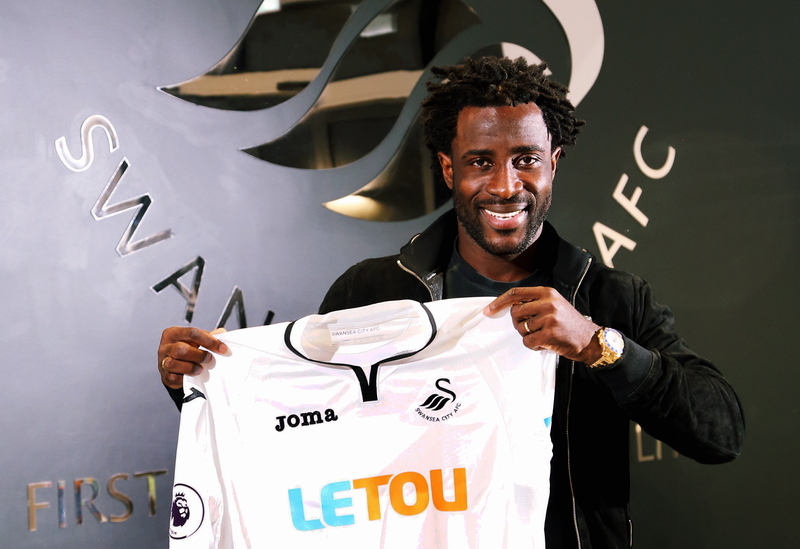 Although Wilfried had literally only about two minutes to pose for the customary pictures of new signings holding a home shirt he obliged willingly. 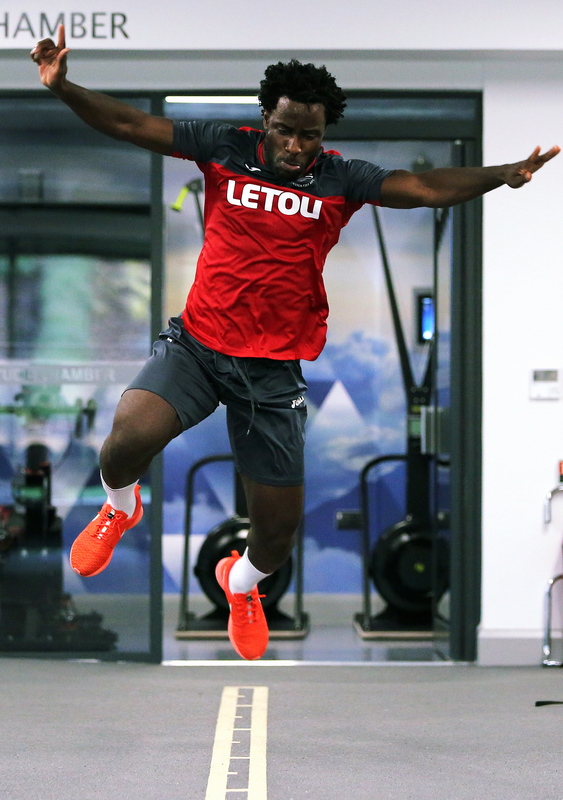 Athena Picture Agency is the exclusive supplier of sports pictures to Swansea City AFC feel free to browse through our archive here. This entry was tagged behind the scenes, city, club, editorial photography, fairwood, football, football photographer, home shirt, medical test, paul clement, photographer, photography, premier league, press photographer, soccer photography, sports, sports personality, sports photography, sports portrait, swansea, swansea city fc, swansea city football club, swansea football, training, training pitch, wales, wilfried bony. Bookmark the permalink.